The Catalyst HR director has written to staff saying she is willing to discuss concerns but continues to fail to return calls from Unite. 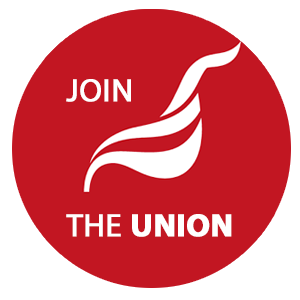 We do have indications that some senior staff are unhappy with the arrogant approach of the executive and applications to sign up to Unite are flooding in. We intially covered the dispute at Catalyst here and The Guardian survey showing housing staff with impossible workloads here. We also reported houisng associations surpluses here and the decision by Genesis to pull away from social housing here. The 'mega merger' between L&Q, Hyde and East Thames is covered here. The Guardian has also covered stress in the sector here. Neil Hadden, the boss at Genesis – soon to merge with Thames Valley Housing - has announced his intention to stop building affordable and social rented housing, massively limit social housing development altogether, to 100 units a year, focusing instead on building for shared ownership and market sale.